K-pop glamour has conquered much of Asia and beyond, but for every headlining boy and girl band, there are many more like Billion struggling on the margins of South Korea's best-known cultural export. For the past two weeks, the Beijing Dance Festival, which ended on Sunday, provided a platform for dancers and choreographers from all over the world to bring intense artistic enjoyment to the capital. The Classical Russian Ballet of Moscow will kick off a nationwide tour of China with its signature ice ballet Swan Lake. This production of Tchaikovsky's masterpiece will feature contemporary ice dancing maneuvers artfully combined with ballet to retell the timeless story of Prince Siegfried and swan queen Odette. In an eye-catching and gem-studded dress, Gulmire Muhammed spins on the stage to deafening applause and cheers. 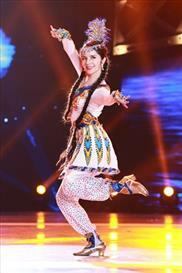 This was her performance on final of the Chinese version of UK TV show So You Think You Can Dance - but could an ethnic Uyghur possibly succeed? In the eyes of conductor Jason Lasky and his team members, sounds can be “painted” with a series of body gestures. This genre-defying art form, called “soundpainting”, is being introduced to Shanghai by a group of international artists to mark the 40th anniversary of its inception. Citizens dance at the Maigaiti Dolan Culture Square in Maigaiti County, Northwest China's Xingjiang Uyghur Autonomous Region, June 29, 2014. Maigaiti County, known as the "home of Dolan", has taken measures to protect and inherit the world intangible cultural heritage "Dolan Muqam" since April 2012. Life is a journey. No other statement could be more true for German choreographer and dancer Thomas Lehmen, who has been traveling on his motorcycle around Europe and Asia since April 2013, than this one. Starting off from his hometown of Oberhausen, the dancer traveled to Tallinn, Warsaw, Bologna, Giessen, Sofia, Chennai, Dhaka and even India and Japan, before arriving in China in June. People perform for Dance Day during the 2014 Song Festival in Vilnius, capital of Lithuania on July 5. A non-profit dancer theater established in 2008, the Beijing Dance Theater (BDT) has been known for many works including Hamlet, The Haze and the Golden Lotus. Last Friday, BDT held its first charity auction in Beijing, gathering more than 140 entertainment celebrities, such as famous singer Li Yugang and actor Li Zonghan, entrepreneurs and artists to bid on nearly 100 art works including oil paintings, jewelry and calligraphy works. 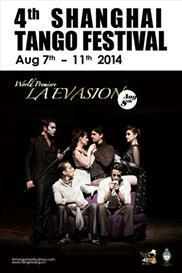 The 2nd Beijing Argentine Tango Festival opened Wednesday in Beijing. Dancers perform during a political-cultural event in the framework of the recent commemoration of the International Dance Day in the facilities of the Philosophy faculty of the National Autonomous University of Mexico (UNAM, for its acronym in Spanish), in Mexico City, Mexico, on May 7, 2014. Dancers perform in "Ballet Revolution" at the Old Opera House in Frankfurt, Germany, on April 22, 2014. From December 2013 to August 2014, the Cuban dancers tour with the second and most exciting version of "Ballet Revolution" in Europe, featuring new choreography, production design and hits by Bruno Mars, Rhianna, David Guetta, Beyonce and Usher. Dancers take part in a carnival dancing show on the street in Istanbul, Turkey, on April 4, 2014. The 3rd Istanbul International Dance Festival kicked off here on Friday. Nearly 3500 dancers from 70 countries and areas participanted in this pageant. Dancers from Bhopal perform the Odissi, one of the most well known classical dance forms of india, during the Ananya Dance Festival 2013 in New Delhi, capital of India, October 4, 2013. The Odissi originates in eastern India. Dancers from Kolkata perform the Kathak during the 12th Ananya Dance Festival in New Delhi, capital of India, Oct. 2, 2013. As part of the 15th China Shanghai International Arts Festival, Beijing-based choreographer Zhao Xiaogang's latest dance work, Fat Tang & Thin Song, will be staged at the Shanghai Oriental Arts Center on October 19 and 20. It would be incorrect to assume that the performers themselves demonstrate the contrasting physical characteristics of the title. Women practise pole dance at Junko Academy Pole Dance studio in Jakarta, Indonesia, Nov. 20, 2013.